Live Your Poem...: ARTSPEAK! Portraits poem "In the Company of Kittens"
ARTSPEAK! 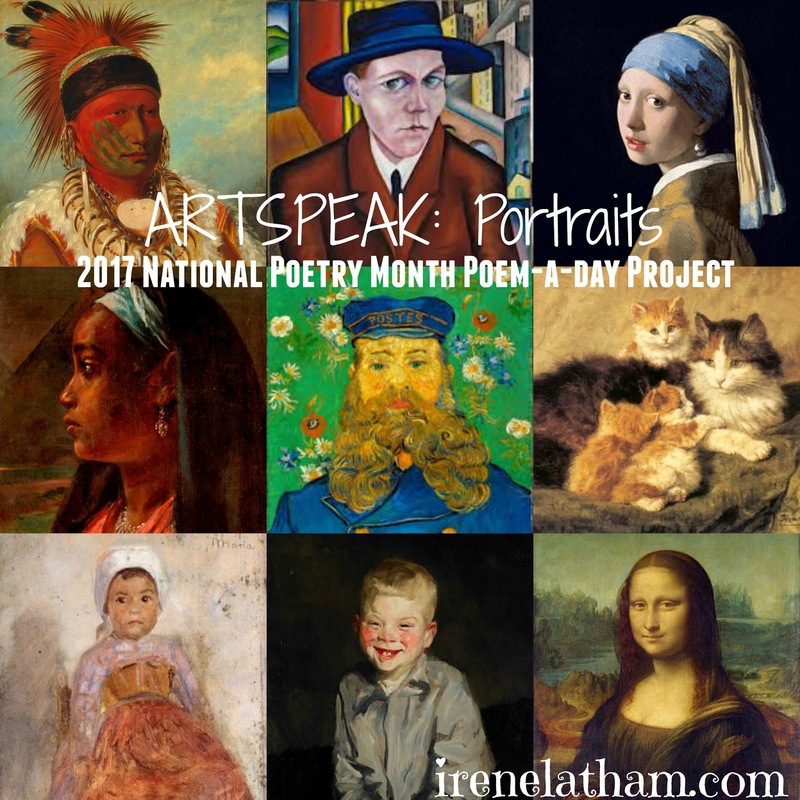 Portraits poem "In the Company of Kittens"
Hello and Happy National Poetry Month! Here it is, day 13 of ARTSPEAK! : Portraits, my National Poetry Month poem-a-day project, during which I am looking, listening with my spirit ear, and asking these subject to share with me their secrets. But first: Be sure to check in with Margaret at Reflections on the Teche to see how our Progressive Poem is progressing! Readers, I love being a mom. I do believe it's the most important work I will ever do! And I remember the "sweet sleepy treat" of a baby. Yes, it's exhausting, but how else can you know a love like that? Thanks so much for reading! KITTENS! My day is officially better! Wonders in the world include kittens, and your words capture them well, Irene. I love each part but that "furry flurry of feet" brings memories! Miao! Irene.I am all melty with this Mom post. 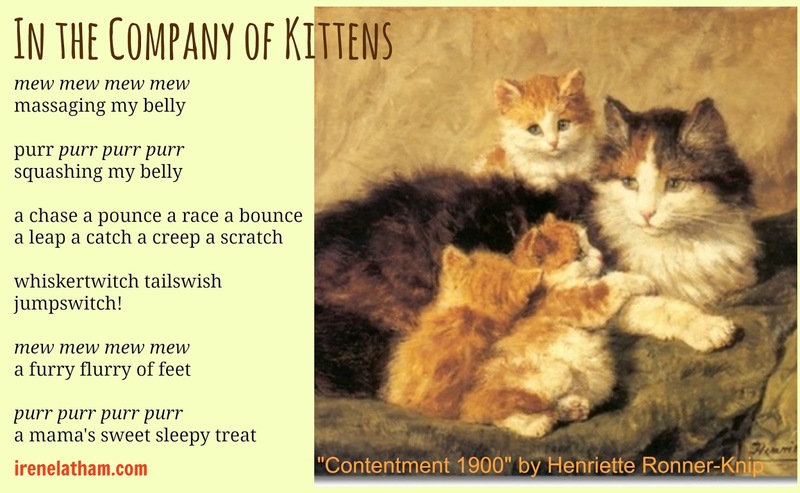 My own orange once-kitten lies half on my thigh to ankle, purring, no less, as I read your poem response "Contentment 1900"
Those two middle stanzas have so much energy and buzz, Irene. What a fun poem! Oh my gosh I LOVE KITTENS! And you've captured them here, or they've captured you, perfectly. "jumpswitch" - Ha! Perfect word for what they do!! Oh, only a fellow cat over could capture this "furry flurry of feet..." so well. I can't help but think about my sweet daughter's journey into motherhood as I read your words.